User can mention the “Product View Locale” to get Response in specific language. Note: All header keys are case insensitive and 2 header values are case sensitive(x-sap-logontoken and x-sap-pvl). You can add query parameters to the uniform resource identifiers (URI) for REST API collection resources to tailor and filter the response output. All query parameter names and values are case-sensitive. 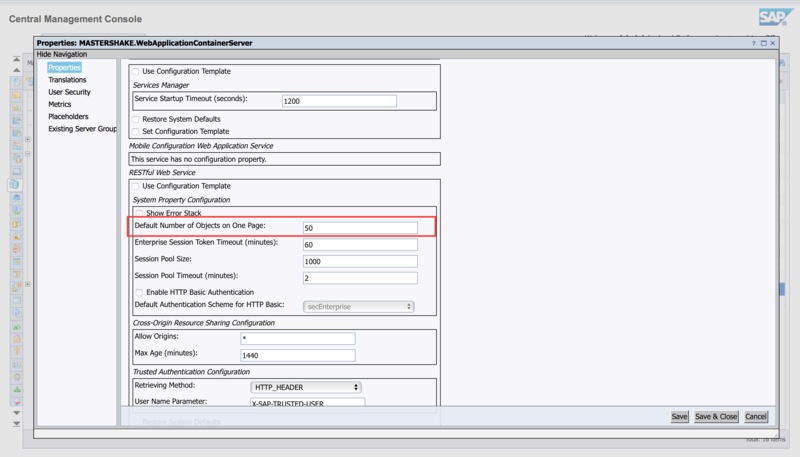 From BOE 4.2 SP03 and onwards all BI Platform REST APIs supports these parameters. There are 2 query parameters in paging. If user is not passing “pagesize” parameter then default value is 50.Administrator can change this number in CMC. This is basically apply filters on list of objects in response based on the value provided in URL. For example user wants to list only objects with parent ID 1234 from infostore. Good info Bharath ! will there be similar enhancements done to OData services ? OData Services introduced from BOE 4.2 SP04 and this services specific for BOE Integration with Fiori Launchpad.Filters are available in OData services also but not all like REST SDK.